Feel Good Friday! / Gee Whiskers! 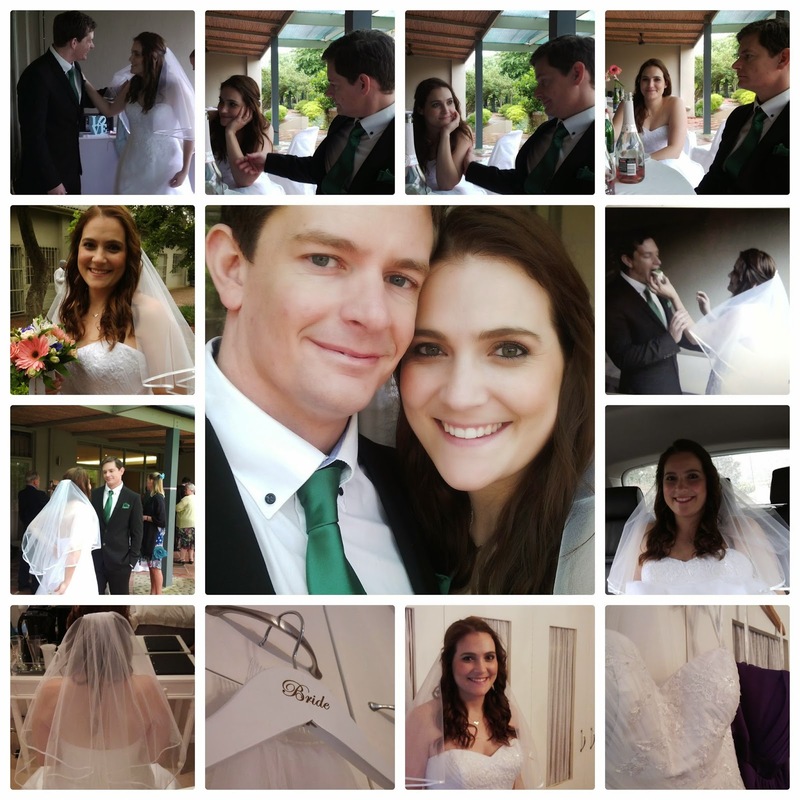 I haven't yet received my professional wedding photos but thought I would share a collage of photos taken on the day. It's been such a wonderful time in my life, better than I could have ever imagined. Thank you to all of you who tweeted, emailed, Whatsapped me and left comments on Instagram. I haven't been able to respond to each one individually - but I have read all of them and truly appreciate each and every message. Awwww you guys look adorable!! What a Beautiful collage!!! You look amazing in those pictures. I'm so Happy for the both of you.